Teach Overseas job Asia: Teach in Hangzhou, China! - US/UK based company with on-ground support in China! Teach in Hangzhou, China! - US/UK based company with on-ground support in China! Teach in Hangzhou China - with flexible start dates, competitive compensation packages and on-ground support! 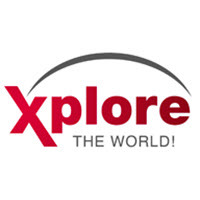 Xplore is an international exchange organization with offices based in the US, UK, Germany and China. WHAT MAKES US SPECIAL: We have offices in Hangzhou, where we provide on the ground support in the form of language training, monthly professional development and cultural orientation. We are a small company and we care about your experience.